We now have confirmed dates for a short European tour later this year. We'll be performing our album "Not The Weapon But The Hand" as well as music from our respective solo albums and bands. Getting a 6 piece band together now and it's looking good. A day of events and screenings to mark the 20th anniversary of the passing of the great Mick Ronson and celebrating his music and major contributions to the works of David Bowie, Lou Reed, Morrissey Mott the Hoople and others. I'll be joining his sister Maggi to perform one track during the days proceedings. Representing the analogue side of this years event, 'll be demonstrating a range of vintage synthesizers from my collection, taking questions and inviting people to try out these rarities. Porcupine Tree's live album "Octane Twisted" was released last month. This documents "The Incident" live set with a performance at the Riviera in Chicago. Included on disc 2 are a selection of tracks from The Royal Albert Hall show in October 2010. The Special edition of this release includes a bonus DVD performance from the Chicago gig. As winter sets in I'm working at home on a few things. I recently contributed to three tracks on an album by Radoslav Chrzan. The album is called "Four Winds" and also features the great Swedish drummer Morgan Agren. Details here. Also working on a track with my good friend and brilliant guitarist Aziz Ibrahim. This week just starting pre production on an album for a very promising young artist. Discussions are currently underway with Steve Hogarth as regards a European tour next year. Hopefully we can put together a run of 8 to 10 shows and perform our album "Not the Weapon but the Hand" as well as other material. Would be a full band line up but don't know who will be joining us yet. Early days. I'll endeavour to post more frequently than once a year ! 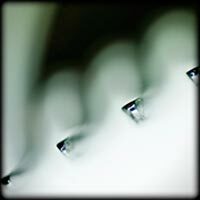 "NOT THE WEAPON BUT THE HAND"
The new album from Steve Hogarth and Richard Barbieri will be released by Kscope Records on the 27th February 2012. Richard will be presenting and performing with a brand new synthesizer from Roland - the Jupiter 80 - at The Music Production show at The Leeds Royal Armouries on May 13th and 14th. Presentation is at 2pm on both days and Richard will be happy to take questions about the synth, music in general or anything Porcupine Tree related during and after the seminar. Richard has re recorded and reworked the Japan track "Experience of Swimming" for an ambient compilation album in aid of the relief effort in Japan. Also included is the track "Drops of Mercury" from the "Things Buried" solo album. Any donation to the Red Cross and the album is then free to download. For more details go to www.microscopics.co.uk/japan. 2uptop.com has posted a recent interview with Richard on their webiste. Visit 2uptop.com. With great sadness we regret to inform you that Mick Karn has recently been diagnosed with advanced stages of cancer. Mick is currently in a positive mood and undergoing further tests and treatment. His family and friends are close with him, supporting him in practical ways, and surrounding him with their love, friendship and care. Mick was previously in the band Japan along with Richard Barbieri. There is an appeal for funds to help pay for his medical and care expenses on the Mick Karn website, as well as for financial support for his family. Money raised by selling some Porcupine Tree and Steven Wilson rarities on eBay is being donated to the fund, including two copies of the special edition red cover version of "Anesthetize" (with 120 page book, DVD, Blu-Ray and 2 audio CDs), which you can bid on here. Richard is currently on tour with Porcupine Tree promoting their new album "The Incident". See the live dates page for details of the shows. 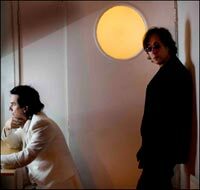 Richard Barbieri will open for the band Engineers at London's Bush Hall on July 10th. The 30 - 40 minute set will include music from his recent two solo albums as well as older material and some improvisation. Richard will be joining The Bays and The Heritage Orchestra for selected dates next month. These concerts will take the form of an improvised set of electronic and orchestral music. Also Richard will travel to Australia with The Bays early next year to perform two shows on the 14th / 15th January at the Sydney Festival. This time the band will be improvising to the film "Run Lola Run" and will perform, along with a giant screen, from a floating barge in the Sydney Harbour. Keep checking thebays.com and this site for updates and more detailed info on both events. 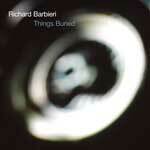 Richard Barbieri"s second solo album "Stranger Inside" is scheduled for release by K Scope / Snapper on 15th September. For track listings,credits and music previews, visit the "Stranger Inside" micro site. PT will undertake a mini European tour of 9 dates in October. Two shows at the 013 in Tilburg, Holland will be filmed for a live DVD release in 2009. The run of shows will end in London at the Indigo2 on 19th October. For all details, visit the PT official site. The latest music software package from Propellerheads features a new virtual synth called THOR. Richard has programmed a collection of sounds for this and they come as standard with Reason 4. Things Buried has now been released on Snapper Records and is available in stores Worldwide as well as download sites such as iTunes. The latest 2007 dates have been added to the Live page - please click here for more info. Richard will be performing with The Bays who open this years Brighton Festival with an improvised set performed live as a soundtrack to the German film "Run Lola Run"
This event takes place at the Brighton Dome on May 5th. The new Roland V Synth GT which will be in the stores this spring will feature sounds and patches programmed by Richard. Richard will be guesting with The Bays at the Liquid Room in Tokyo, Japan on 25th February "more info on The Bays website"
There is an interview on the Roland vSynth site - click here.